You’ve just opened your brand new instax camera and carefully removed the device from its cardboard home. (Or maybe you were so overcome with excitement, you violently ripped away the packaging like a wild animal—we won’t judge.) Maybe you even purchased a few additional packages of film in anticipation of your camera’s arrival. Now you’re armed with everything you need to record life’s most memorable experiences with your favourite people. You’re so ready to dive in, you’re practically bursting at the seams with photo-fueled excitement. The future compliments you’ll most assuredly receive for your instant photography masterpieces are already echoing in your mind. And just think of all the DIY projects! Your mental Pinterest board is quickly filling with creative new ideas. This is the start of something great. There’s just one small problem: How do you get started? Even for professionals boasting years of photographic experience, a new camera can be a little daunting. 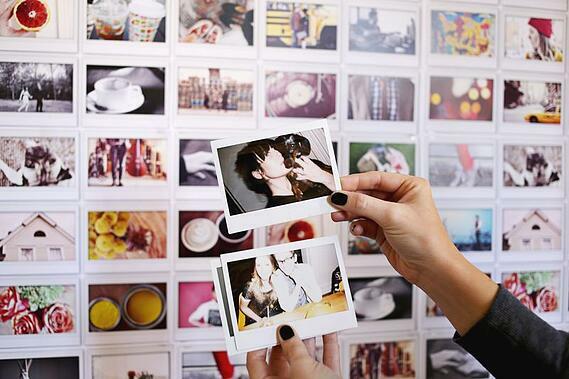 If you’re not familiar with instant photography, you may feel slightly overwhelmed. Since you only have as many shots as you do film, you’re likely feeling pressured to master the skill immediately. After all, you don’t want to let anything go to waste. The good news is it’s easy to create magic with your new instax camera—even if you’re brand new to the instant photography world. To help you get started, we’ve created a helpful infographic. 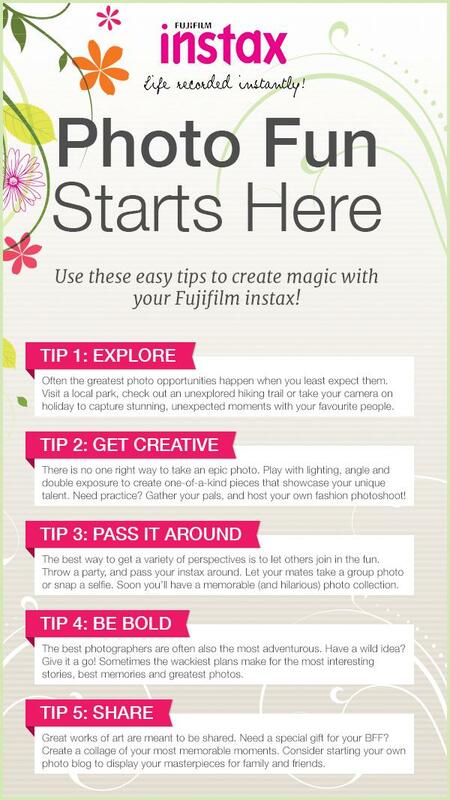 Check out the tips below and prepare to begin snapping mindblowing photos! When it comes to instant photography, the best advice is to be yourself. As long as your photos reflect your unique style, and you take a few cues from the tips listed above, you’ll have plenty of frame-worthy results. There’s only one thing standing between you and instant photo greatness: the right tools. Check out the latest line of Fujifilm instax cameras, film and accessories now!